Sean Pean protrays famed San Francisco politician Harvey Milk in the upcomign movie. "Milk" may now be out on DVD but that does not mean that theaters have ended their love affair with the biopic about San Francisco's first openly gay politician to be elected to office. The Independent, 628 Divisadero St., in San Francisco will host a free screening of "Milk" on Monday Night at 8 p.m. 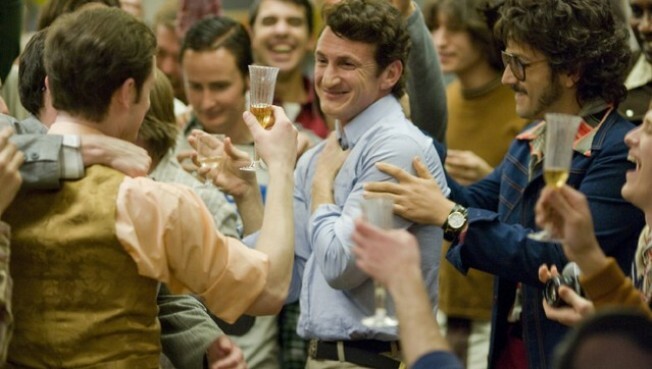 The movie, for those who don't know, was filmed mostly in San Francisco's Castro neighborhood and tells the story of Harvey Milk, one of the country's first openly gay politician to be elected to office. Bay Area resident Sean Penn plays Milk, in a role that won him the Oscar for best actor. Palo Alto native James Franco joins him on the screen as one of Milk's lovers.